This is a very long article, about 7500 words. Versions of it have been published by the Limestone Chapter of the Ontario Woodlot Owners Association and by Mother Earth News magazine. If you really want to get into what makes wood heating different and special, you'll find what you want here. What makes wood heating different from all the other options? Judged by coverage in policy discussions about our energy future, wood heating is virtually nonexistent. Most politicians don’t debate its merits or plan for its strategic use. The one area in which wood burning does attract attention is the problem of air pollution. As a result, wood burning has become most often identified as a problem to be solved rather than as an opportunity to be harvested. The one thing that almost no governments do is encourage householders to heat with wood. Fuelwood is the only renewable energy resource that most governments don’t seem comfortable with. The low profile of wood heating in energy policy discussions and in the media reflects the fact that policy – even rural policy – is developed in big cites, and that the large media outlets are all urban in location and outlook. That and the fact that no large corporations are involved in wood heating and therefore no high-priced lobbyists or special interest groups prowl the halls of legislatures pleading the case of wood burning. 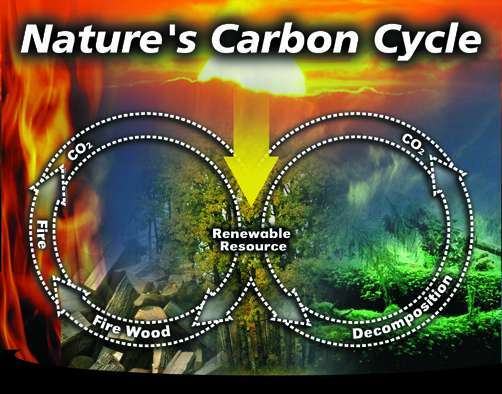 So, despite the fact that millions of families burn wood at home, its role as an energy source rarely appears on government and media radar. The refining of wood fuel is often done manually with hand tools.In a world of touch-screen convenience, pocket-sized computers, and automatic climate-controlled environments, wood heating is in every way rough, basic and steadfastly hands-on. People who heat with wood seem out of step with the modern world swirling around them. Have wood burners and those who labour to supply them with fuel slipped through a crack in the cozy consensus of modernity? Or are they onto something meaningful that has been missed by the mainstream? The producers and consumers of fuelwood are engaged in an activity that reduces net greenhouse gas emissions while others merely fret about global warming. The fuelwood fraternity use a renewable energy resource, taking pressure off dwindling supplies of ever-pricier and scarce fossil fuels. Buyers of fuelwood create jobs close to home and strengthen their local communities. They know more about the cause-and-effect relationships of energy production and consumption than those who simply pay utility bills. The story of wood heating early in the twenty-first century is about average families making decisions based on how they see their future unfolding. Heating with wood is about a lot more than home heating. It is a tangible expression of self-reliance, of the courage to buck the trends and to resist the appeal of sedentary, push-button convenience. Heating with wood reinforces links to the land and is a willing submission to the cycle of the seasons. It provides stability and security in a turbulent world. To its owner, the woodlot is a living community in constant evolution, while to the urban observer it may be seen as a museum in which the removal of a tree exhibit renders it diminished. The woodlot owner watches its quality improve over the years, even as it yields products and creates employment. The owner’s household earns part of its income by being a fuel supplier to the neighbours. It is a gentle way to produce energy compared to mountain top removal coal mining and nuclear reactors. Fuelwood is the ultimate populist energy resource, the most easily accessed and affordable of all renewable energies. The major environmental impact of wood heating is visible for all to see in the form of smoke emissions, making everyone who uses it instantly accountable for their actions. The families that heat with wood and those that supply them with fuel do so privately, without fanfare or acknowledgement. It seems they wouldn’t want it any other way. Heating with wood is its own reward. This is a private activity in which virtually everyone involved is content to remain anonymous, quietly keeping their families warm through their own labour and ingenuity. But with so few individuals and groups speaking up to defend the responsible use of wood fuel, the families that depend upon it may soon be faced with unreasonable restrictions. Those who want to see wood heating banned are gaining influence and more governments are treating wood heating as a pollution problem and not as a renewable energy resource that needs to be improved. By any measure, wood is an important residential energy resource, especially outside large urban areas. Over 10 million US households, just under 10 per cent of the total, use wood as their main heating fuel or to supplement other heating fuels. Over 25 per cent of Canadian households burn wood. Well-stacked piles of firewood are a comforting sight.A drive through small towns and down country roads in forested regions confirms that fuelwood is a significant energy resource. The long lines of piled firewood standing in yards serve as proof. 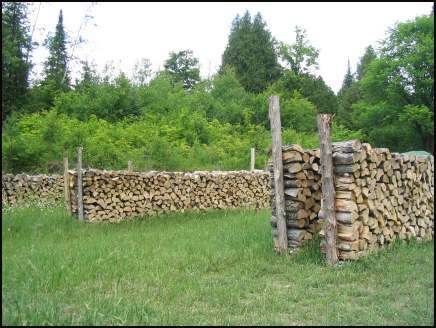 Every winter the wood is cut from woodlots and every spring it is split and stacked to dry in the summer sun. In the fall it is moved to the house and stacked again, and in winter it keeps families cosy warm. It is a seasonal ritual that has recurred year in and year out for decades, for generations. Firewood for home heating is an indigenous, renewable energy resource that helps families stretch their household budgets and strengthen their local economies. And yet an increasing number of vocal activists are clamouring to have wood burning banned from their communities because of air pollution, and even some environmentalists warn against the increased use of firewood fearing negative impacts on our forests. A balanced assessment of firewood for home heating is long overdue. This paper explores how wood burning contributes to the prosperity of rural communities, the health and well-being of their inhabitants, and to the environmental sustainability of our society. It also tackles the problems of wood smoke pollution and forest resource impacts. Wood smoke pollution is the most serious knock against wood heating, so it is best to deal with it first. The problem of smoke pollution from residential wood burning has been debated since the resurgence of wood as a fuel after the oil crisis of the 1970s. Because it contains toxic chemicals and known carcinogens, wood smoke is unhealthy to breathe in high concentrations and even in low concentrations can be harmful to children, the elderly and those with lung diseases or allergies. There are three aspects of wood smoke pollution that can be considered: nuisance smoke caused by a neighbor, airshed contamination caused when many households make too much smoke in a confined area like a river valley, and indoor air pollution caused when a wood burning appliance spills smoke into the house. Firewood was seen as a renewable resource, but now it is linked to pollution. In the aftermath of the first oil crisis in the late 1970s, governments supported the public’s return to wood as a home heating fuel. At the time it was seen as one strategy to reduce dependence on expensive imported oil. However, a gradual policy shift has occurred since then. Positive statements about firewood’s status as a renewable energy source and its role in reducing net greenhouse gas emissions are less common and more qualified in government documents than previously. To the extent that governments deal at all with the issue of wood heating, the concern tends to be more with pollution abatement than with encouragement. Statements by both government and nongovernmental health agencies frequently include lengthy statements about the hazardous chemical constituents of wood smoke. They offer lists of compounds like polycyclic aromatic hydrocarbons, dioxins and furans and acrolein. The use of intimidating technical terms without offering contextual information makes these detailed statements quite beyond the ability of the average reader to comprehend or interpret. For example, context could be provided in the form of a list of chemicals emitted by a city bus or a backyard barbecue, which are similarly odious sounding. Government personnel insist that statements listing the chemicals found in wood smoke are simply intended to inform the public, but it might equally be said that this communications tactic reveals an underlying intention to dissuade the public from using wood fuel, especially considering that no other energy source receives this kind of treatment in public information. It is not the intention here to minimize the environmental impacts of wood heating or attempt to deflect concerns by highlighting pollution from other energy sources. But a balanced assessment of benefits and risks is called for when any energy source is evaluated or compared to other sources, especially by government agencies. Too often, those who have concerns about the wisdom of wood heating fail to understand or communicate that all energy sources, including renewables like wind and solar, have impacts on the environment. To single out one energy source for condemnation without providing supporting evidence or contextual information is unhelpful and unlikely to sway a justifiably sceptical public. The haze of wood smoke across a highway in the morningThe problem of wood smoke from residential heating is serious in some places and under some conditions, and it is important that the public understand the risks and the ways to minimize them. The three dimensions of wood smoke pollution – airshed contamination, nuisance neighbours, and indoor air pollution – should be addressed through public information and, where necessary, regulation. To be successful in changing minds and behaviours, any government action should be developed in full recognition that people who heat with wood tend to be sceptical of experts or governments meddling with their personal wood heating practices. The new wood burning technology found in EPA certified stoves goes a long way toward solving all three wood smoke problems: airshed contamination, nuisance wood smoke and indoor air pollution. These advanced stoves, inserts, fireplaces and furnaces cut wood smoke by up to ninety percent compared to older so-called ‘airtight’ stoves, and also spill less smoke into the indoor air because fires don’t tend to smoulder in them, the condition that most contributes to smoky indoor air. Smoke emissions from older conventional wood stoves average at least 25 grams per hour of operation, while the emissions from older wood-fired outdoor boilers range from 50 g/h to well over 100 g/h. In contrast, the EPA regulation limits emissions of certified wood stoves to no more than 7.5 g/h. However, since the regulation was first established in 1988, the average emissions of certified stoves have declined steadily due to advances in technology and competition among manufacturers. Today, most current wood stove models emit only 2 to 4 g/h. Although the EPA emissions limits are stated as solid particles (particulates) collected on filters, other detailed testing has shown that the emission of the scary-sounding polycyclic aromatic hydrocarbons like fluorene and benzo (a) pyrene, as well as volatile organic compounds like benzene and xylene are all far lower in the exhaust from advanced wood heating equipment than from old style wood burners. Despite what some anti-wood heating activists have claimed, the technology is effective in reducing pollution. The reduction in smoke emissions has been a significant technological breakthrough in wood burning and is noticeable at the top of the chimney where no visible smoke is seen. Just as noticeable to users, however, is the increase in efficiency that results from burning and not wasting the energy-rich smoke. Conventional wood stoves range in efficiency from a low of about 35 percent for a cast iron box stove or furnace to a high of as much as 55 percent for a 1970s era ‘airtight’. Most older outdoor boilers are less than 50% efficient. In contrast, EPA certified wood stoves average around 70 percent and none are less than 60 percent efficient. The new breed of emissions certified outdoor boilers are also much more efficient. The difference in efficiency between conventional wood burning equipment and the advanced low-emission models is so significant that users can immediately see the difference when they upgrade and begin using a new stove. The reduction in fuelwood consumption by up to one-third is significant for each household that uses the new technology, but it also has the potential to increase the number of houses that can be heated based on the sustainable harvesting of a given area of forested land. Another significant factor that reduces a wood-heated household’s impact on the forest resource is the lower heat energy requirements of modern housing. Together, the increase in wood burning appliance efficiency and improvements in housing energy conservation can roughly double the number of dwellings that can be heated by the yield from a given woodlot compared to just 25 years ago. 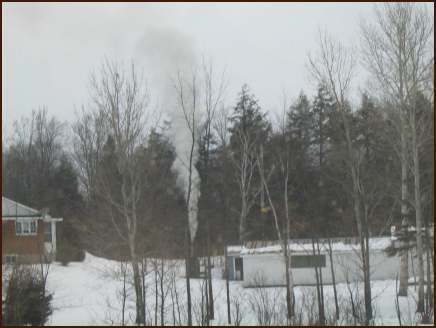 An outdoor boiler firing up.Community-wide smoke problems are uncommon in areas where level topography does not produce the same number or severity of winter inversions that trap smoke close to the ground. While community level smoke problems are relatively rare, nuisance smoke caused by thoughtless neighbours has been identified as a problem in dozens of towns. One technology in particular has been the focus of many complaints. Outdoor wood-fired boilers (OWB), which look like metal garden sheds and send hot water to one or more buildings through buried pipes, have become notorious for the dense smoke they produce. Small towns have enacted bylaws restricting the installation of outdoor boilers by either banning them from residential areas or placing limits on their proximity to property lines. The source of the problem is that central heating furnaces and boilers, including OWBs, were exempt from the original EPA emission rules back in 1988 on the basis that there were too few of them to bother regulating. Well, that was then. Now OWBs are very popular and as a result a new smoke emissions test for OWBs has been approved and certified models are now on the market. On paper the new breed of OWBs look much better than the older, smokier versions. Time will tell if they are clean burning enough to satisfy regulators and reduce public complaints. Economists focus on the money cost of energy, but the energy costs of energy can provide better insights into environmental costs and the underlying reasons for the money cost. For this reason, the energy return on energy invested (EROEI) should be included in any appraisal of the quality, impacts and appropriateness of various energy sources. Here is a sample EROEI analysis for fuelwood compared to other energy sources. Note that the value of labour is not included in the calculation. Calculation: Energy content per cord: 24 M btu divided by fossil fuel input: 943,000 btu. An EROEI of 25:1 may not be worst case for fuelwood, but it is close for rural areas. Harvesting from their own woodlot, some people probably produce firewood at an EROEI of 30 to 40:1. For comparison, back in the heyday of oil, when discoveries were peaking and consumption was just ramping up, one barrel invested would yield about 100 barrels for sale, a cheap energy bonanza if there ever was one. Today, gushers are a thing of the past, most of the biggest oil fields are in decline and the ‘new’ oil fields are tiny and found under oceans. The EROEI of oil and gas has now fallen to 10:1 to 20:1, depending on age, type and location of the field. So-called unconventional oil such as the bitumen extracted from the Canadian tar sands has an EROEI of as low as 1.5:1 to a high of 4:1, depending on how the calculation is done and who does the calculating. The green bars are the minimum EROEI and the baige parts are the observed range. The chart at right was developed by Professor Charles Hall and his colleague John Day. Note that firewood is asigned an EROEI of around 30:1, which is a similar result to the analysis done for this paper. 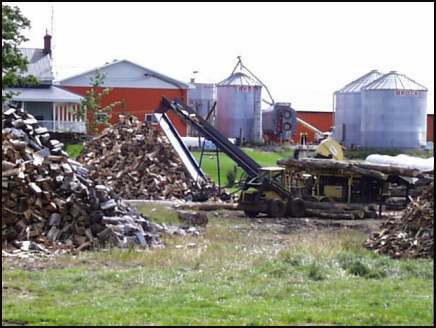 Wood, in the form of natural firewood, compares favorably with other fuels regarding the amount of net energy realized after processing and transportation. This bodes well for a degree of price stability for fuelwood in the future. Price stability is not likely for the fossil fuels because as the easily accessible deposits are consumed the EROEI rises dramatically, as does the retail price. What if everyone heated with wood? This beautiful graphic was created for RSF-ICC, a fireplace and chimney company. Used with permission.Critics of wood heating like to say that if everyone decided to heat with wood, the air would be polluted and every forest in the country would be mowed down to produce firewood. Maybe, but the whole idea is pretty silly, considering that wood is a lousy urban energy source and is best used locally. Even the most ardent defenders of wood heating would never promote it as a universal energy source. Large parts of the country are relatively thinly populated and have highly productive forests. These are the regions where wood heating makes sense. Foresters have said that wood heating could easily double or more in many regions without putting undue stress on the forest resource. Our forests do need to be managed sustainably, but the methods are well known and can be summarized in a single sentence: Uneven-aged selective harvesting, thinning of dense stands and removal of poorer quality trees, while leaving seed trees of all present species and ages, and some standing dead trees to provide wildlife habitat. Many woodlots in farm country can offer a striking model of sustainable forestry. The careful work by generations of farmers and other woodlot owners, visible in healthy, productive woodlots that have provided generations of owners with their heating fuel and other products, provides the stewardship model that others can follow. And while many woodlot owners understand and practice sustainable forest management, others exploit the resource for short-term profit. Unfortunately, some farmers have maximized short term profit by clear cutting their woodlots and converting the land to cash crop production. Some companies and individuals have made a practice of buying large parcels of unused forest land, stripping them of all the commercial trees and then reselling the depleted parcels. These profiteers do meet the definition of woodlot owners, but they do not maintain ties to the lands they buy and sell. A healthy, well-managed woodlot can provide firewood and other products indefinately.It has long been said that a healthy, well-managed woodlot can yield half a cord of wood per acre per year forever – one full cord being a pile eight feet long, four feet wide and four feet high – and that a ten acre woodlot could sustainably produce enough firewood each year to heat a house. Although that guideline is old and not very precise, it still holds true. In fact, it takes a lot less than five cords of wood, and therefore less than a ten acre woodlot, to heat a new energy-efficient house using a modern wood stove. There is some evidence that carefully designed and built houses can be heated with as little as 1.5 cords of firewood. Despite its considerable advantages, fuelwood is not a good solution for all households to the problems of high home heating costs and global warming. Fuelwood is not a suitable energy source in all locations, such as densely-populated urban areas, because its air emissions tend to be higher than other options, and the air is already burdened with pollution from industry and transportation. A winter’s supply of wood takes up a lot of space, and the price of firewood in urban areas is normally too high to achieve savings. Successful heating with wood also requires a level of physical fitness and the learning of a special set of skills. Clearly, wood heating is not for everyone. Fuelwood is unlike any other mainstream heating fuel, in that users are engaged physically and mentally in its consumption, and for many, in its production as well. Users of oil, gas and electric heating are typically involved only in paying energy bills and adjusting thermostats. As a result, any cost comparison of wood with other fuels is likely to be inaccurate, if not misleading, because it cannot account for either the labour costs or the intangible benefits of wood heating. The intangible benefits are equally difficult to evaluate in monetary terms. Several online sites offer fuel cost comparison methods. The calculations are fairly complex, accounting for local fuel pricing, housing type, climate zone, fuel type, appliance type and efficiency. However, a good indication of the imprecision of these calculation methods is that only whole-house heating to an even temperature throughout can be considered. This type of calculation cannot accommodate a wood stove used as a partial or complete heating replacement for a central furnace using conventional fuel. Compared to central heating, the use of a wood stove for space heating, especially if it is located in the main living area, can mean a reduction in heat energy needed by up to 25 percent, regardless of the cost of either fuel. Let’s look at some real-world examples of how people save money by heating with wood. 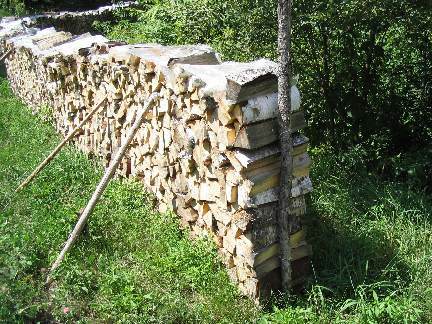 Some families buy their firewood already split so their work only involves stacking it to dry. They might spend $250 for each cord (4’x4’x8’), the equivalent of almost $440 in fuel oil at $2.75 a gallon. That family’s savings wouldn’t be large, but they would gain all the tangible and intangible benefits of wood heating. Small-scale harvesting and processing equipmentSomeone working in his woodlot, harvesting trees and processing them into firewood can save most of the cost of heating using other methods. For him the cost of a winter’s firewood is two week’s work and a few gallons of gas for the saw, splitter and pickup truck. Harvesting and processing the household’s heating fuel can save two or three thousand dollars every year. What if dozens of households in a small town decided to save money by heating with wood instead of oil? Each of the twenty households would have a few hundred to a few thousands of dollars more to spend around town this year. Every dollar saved through wood heating is another dollar of spending that strengthens the local economy. Rural areas tend to have large ‘trade deficits’ on consumer goods and most commodities. Their ‘exports’ are usually based on their natural resources such as mining, agricultural and forest products. Revenue from external sources is commonly in the form of tourism and recreation expenditures by non-residents. Overall, as population, industry and political decision-making concentrates in large cities, rural areas have not fared well economically. A household that produces its own fuelwood supply saves $2,000 or more each year, an amount that can be used to reduce expenses in a household of marginal income, or that can be spent on other goods and services like home improvements. This household trades its own labour for big savings in household operating expenses. A woodlot owner who produces and sells firewood provides employment and income to the area. If that same producer practices effective management, the quality and value of the woodlot are enhanced at the same time. When a local household buys its winter fuel supply from a neighbour, that transaction has a multiplying effect by keeping the money circulating within the community, increasing local incomes and job creation. Local economic activity, including jobs and incomes, is increased through the use of fuelwood as a substitute for fuels purchased from outside the community. In a time of uncertainty about the future price and security of supply of conventional energy sources, fuelwood provides some price stability for residents of rural areas, as well as a sense of security because, if necessary, each household could produce its own fuel supply with a relatively small outlay of cash. The fuelwood market has two general sources of raw logs. The first is as a by-product of large-scale logging operations on government land. The second is logs cut from private woodlots. These two sources also tend to create two different business models for firewood wholesalers and retailers. An automatic firewood processor.In the first case, commercial firewood producers buy low quality cull logs (centre-rotten or crooked) from forest products companies logging government lands. 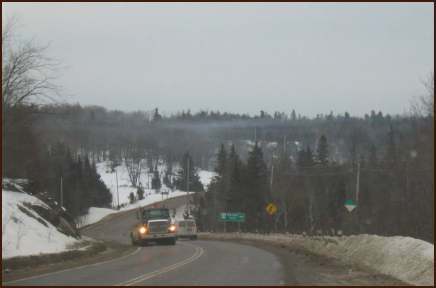 These are typically the large-scale firewood producers with yards containing hundreds of cords of split firewood that can be seen along rural highways. Most use processors that cut the logs to firewood length and split it in one operation. These producers normally do not engage in logging, but rather receive truck loads of cull logs from harvesting operations. In most jurisdictions the logging of government-owned land is regulated to provide fair access to timber and to ensure that harvesting is done sustainably and with as little damage to the site as possible. While the system is imperfect and there continues to be debate about commercial logging and sustainability, most of the cull logs diverted to firewood production from public land logging can be considered to have been harvested sustainably. 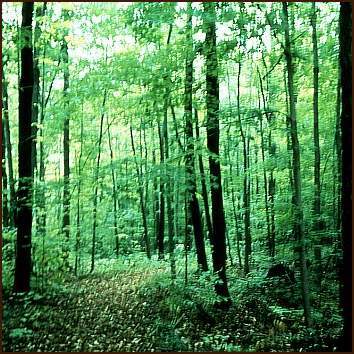 Private woodlots are the other main source of logs for fuelwood. Logging is sometimes contracted out, but is also commonly done by the land owner as part of annual or periodic work to extract income from the woodlot. For many farmers and other woodlot owners, the income from relatively small woodlots of less than 50 acres can produce significant annual income from the sustainable harvesting of saw logs, veneer, pulp and fuelwood. Case studies of several woodlots have shown that annual income from just the fuelwood component can range from as little as $25 to more than $200 per acre. Farmers and other small scale woodlot owners have little trouble finding willing buyers for the fuelwood they produce. Most sales are to repeat customers and expansion of sales is often by word of mouth or small ads in local newspapers. The firewood market is almost entirely unregulated, in the sense that there are no product quality or price controls in place. In fact, new converts to wood heating often find buying firewood an intimidating and frustrating experience. There are several reasons for this. The inexperienced buyer who has no experience with tree species and firewood quality issues is unable to judge the price-quality relationship and so feels vulnerable to the dealer. The buying experience is unlike most other retail environments, often taking place in a dusty yard with trucks and heavy equipment to dodge. New users sometimes make the mistake of ordering firewood by phone without seeing it first and have been disappointed with what they receive. Most new users have been warned about the problems of burning wet or green firewood and yet lack knowledge of how to judge moisture content and have no basis for trusting the word of the seller. The criteria for judging firewood quality and price can be learned only by experience; no amount of research or advice can create an instant expert. Some of these criteria include tree species based on wood density, piece size, moisture content, and the units the fuel is sold in; i.e. full cord, ‘face cord’, truck load and volume measures such as cubic feet, yards or metres. For every household starting out to heat with wood, the fuel purchasing process is like a right of passage, with uncertainty at first and the gradual building of confidence as they gain experience. It goes without saying that wood is humanity’s original heating fuel. Rarely acknowledged, however, is that its dominance was only displaced relatively recently. Although coal became available in urban areas and to the more affluent families living close to supply routes by the mid-twentieth century, in much of rural North America wood was virtually the only practical heating fuel option until after the second world war. Until the incentive for technological advancement was provided by the EPA regulation in the late 1980s, wood burning technology was simple and ineffective in producing complete combustion. Most wood burning devices were little more than empty steel or cast iron boxes in which to build a fire. Until the 1970s gaskets on loading doors were rare, meaning that a stove or furnace might not provide enough control to hold a fire overnight. 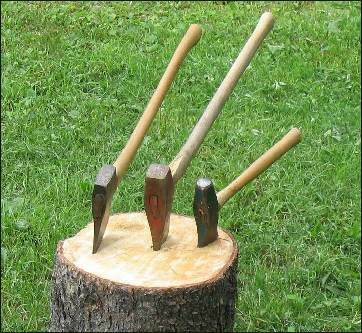 Before the advent of small chain saws, trees were felled and logs were bucked up with hand saws, and splitting was done with axes. The amount of labour involved in producing enough fuel for a large, leaky old farmhouse was enormous. A typical farmhouse had a wood furnace or one or more heating stoves, as well as a cook stove, none of which would have exceeded 50 percent efficiency. Each household would have had to produce ten or more full cords of firewood. The old cast iron stoves and furnaces burned inefficiently, sending smoky exhaust through long flue pipe assemblies to masonry chimneys that were commonly supported by wood structures. Frequent cleaning of flue pipes and chimneys was needed if chimney fires were to be avoided. But chimney fires are inevitable when simple technology is matched with user practices that produced long smouldering fires. This sense that wood heating is inherently hazardous remains with many people even today. A small-town fire chief speaking at a public meeting some years ago said: “It is not a question of if you will have a chimney fire, it is a question of when.” The fire chief’s advice is out of date now that advanced wood burners can burn the smoke and reduce the build up of creosote in chimneys. Through most of our history, the use of wood fuel gave its users a degree of security and independence, even though staying warm in winter entailed some risk and a large amount of household labour. After the second world war the use of fuelwood for home heating declined rapidly as fuel oil and natural gas became a convenient and inexpensive. For many people wood heating was viewed as passé and associated with rural poverty and hardship. During the period of the 1950s through the 1970s, decorative wood burning fireplaces were installed in a large proportion of new single family dwellings, especially in cities and suburbs. In the minds of most people, wood had slipped from consciousness as a heating fuel to become a fuel for ambiance and recreational use. This transition may partly explain why wood tends not to be viewed by big city dwellers as a significant part of the home energy landscape, but rather as a marginal option. The energy crisis of the 1970s was a watershed event for wood heating in North America. Not only did the price of oil spike upwards with unprecedented suddenness, but the resulting high interest rates and recession of the early 1980s put additional pressure on household budgets. For many families, switching to wood heating became the single response to a number of related problems: the high cost of heating, insecurity about energy supply, and a defiant response to the economic pain that the OPEC oil cartel had inflicted on North Americans. The wood stove became a symbol of the resourcefulness and ingenuity in tens of thousands of households. The rush back to wood heating after decades of decline led to problems. Having lost the family and cultural memory of the risk of house fires and the way to prevent them, and there being virtually no recognized safety rules, much less enforced regulations, thousands of new users lost their houses to fire caused by hazardous installations. In just a few years, wood heating became one of the leading causes of residential structural fires. Governments at all levels, the insurance industry and the wood heating industry worked together throughout the 1980s to develop safety standards and professional training programs. By the mid-1980s the price of oil and other energy commodities had settled back to manageable levels and the economy recovered. Gradually wood heating lost its appeal for a portion of the households that had adopted it. By the early 1990s oil and gas were again cheap relative to other consumer goods and the gas fireplace had been improved to the extent than tens of thousands of them were sold to replace the trusty wood stove that had been installed fifteen years earlier. With the economy booming and people working longer hours, convenience trumped energy self-reliance for many. The year 1998 was notable for two events. First was the infamous ice storm in Northeast US and Eastern Canada, which once again elevated the wood stove (along with the portable electric generator) to technological hero status. Wood stove dealers reported a flood of new customers in the fall of ’98, people who vowed they would never again be vulnerable to the frailties of the electrical grid. The second notable event of 1998 was the bottoming out of oil prices at around $10 for a barrel of crude. Ironically, an article titled The End of Cheap Oil appeared in Scientific American magazine the same year. Authors Colin Campbell and Jean Laherrère accurately foretold the future of energy prices, predicting that the peak of oil production was not too many years away and that thereafter the price of oil would rise steadily, never to fall again. Ever since then the price of a barrel of crude oil has risen inexorably after this first widely-read prediction of the bleak future for world oil production. And once again, as the prices of energy commodities rise along with fears about security of supply, homeowners turn in increasing numbers to fuelwood. Compared to wood burning in the first half of the last century – the backbreaking work to produce fuel, the crude stoves and furnaces and dangerous chimneys – heating with wood today is dramatically different and better in every way. The efficiency of the average wood stove has roughly doubled to around seventy percent. Advanced stoves don’t produce dense plumes of blue-grey smoke. Chimney technology and safety have improved. Recognized standards for virtually every appliance type and component have been developed and adopted into building code legislation. National training and certification programs for wood heating salespeople, installers, chimney sweeps and municipal and insurance inspectors were established. There are now clear (if complicated) safety rules and trained professionals to help householders comply with them. There are more and better public information materials available, most of it produced by both governments and industry groups. Aside from improved safety and performance, modern wood stoves, which are by far the most popular type of wood burning device, used by about 70 percent of wood heated households, have become more aesthetically pleasing. Stoves are now available in enamel colours and both traditional and modern designs. No longer dusty black boxes, the new stoves can look at home in any well-appointed living or family room. There is now a good selection of EPA certified factory-built fireplaces for those who like a built-in appliance. Ceramic glass with airwash has transformed residential wood heating since the mid-1980s.Less obvious, perhaps, is the impact of two technological breakthroughs that have transformed wood heating since the mid-1980s: ceramic glass doors and glass air wash systems. Until ceramic glass was introduced, the only option was tempered glass which couldn’t tolerate the extreme temperatures developed inside modern wood stoves. A glass door that threatens to shatter at any moment could never be successfully used in stoves. The ceramic glass now used is not damaged by heat and is tough enough to stand up to the rigors of wood heating. Glass door breakage is now rare. Glass air wash was introduced at around the same time as ceramic glass appeared. The system involves directing the primary air for combustion through a narrow strip above and behind the glass panel. Being cooler and therefore less dense than the combustion gases, the air falls in a curtain between the glass and the fire, keeping soot and creosote tars from collecting on the glass. The majority of new wood stoves have these ceramic glass panels that stay clear for days, and for the best systems, weeks of continuous use. Only in the past twenty years has it been possible to view a beautiful wood fire that efficiently heats a home. This is a true breakthrough that has changed the character of wood heating forever. The extent to which fuelwood use affects the household budgets depends on a number of factors such as how the fuel is used and to what extent it is processed by the user. Firewood is used in three distinct ways, each having a different impact on the household budget. First, firewood can be burned in a decorative fireplace which does not contribute significantly to home heating because of low efficiency. 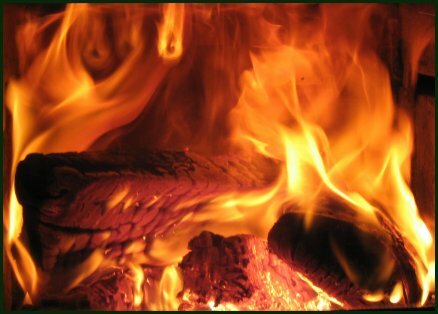 In the case of conventional fireplace use, the cost of firewood can be considered an entertainment expense, providing no tangible benefit to the household budget. The largest segment of fuel wood use is to supplement other heating fuels. Supplementary use may take the form of part-time heating, or for the heating of a section of the house, like a basement family room or an extension to the house. The impact of supplementary wood heating on the household budget can range from inconsequential if the use is casual and infrequent to substantial if wood provides most of the heat for the house. It is worth noting that the practices of the insurance industry tend to cause a distortion in the statistics on primary and supplementary use of wood. Families that heat primarily with wood have been influenced by experience with the insurance industry to say that wood is a supplementary heating fuel because many insurance companies either refuse coverage or apply large surcharges to householders who claim to heat primarily with wood. The third form of firewood use is primary heating, a practice that is most likely to occur in rural areas, and is the type of use that is most likely to have the biggest positive impact on household budgets. Considering that fossil fuel inputs to firewood are low, a household that is willing to invest some labor can save thousands of dollars each year by heating primarily with wood. There are few other examples of ‘consumer choices’ that can reduce basic living expenses to that extent. There are few sources of documentation and analysis of the non-technical aspects of wood heat, and yet most people who heat with wood seem to hold strong feelings about their practice, even though these are sometimes difficult to articulate. A doctoral thesis by Eastern Ontario resident Wendy Milne provides more and better insights into the social dimensions of wood heating than any other document reviewed. The other primary source is quotations from correspondence posted on the woodheat.org web site. The production of fuel for heating the family home during cold winters is an accomplishment with significant meaning for the people who do the work. The feelings are clearly powerful, but are rarely acknowledged in the media or in mainstream discourse. Beyond the satisfaction of producing one’s own fuel, the practice of wood heating also creates strong attachments linked to the feeling of the warmth and the sense of security and control wood heating offers. Wood heating is sometimes viewed as a masculine activity, but upon closer examination the involvement of women in the practice of wood heating becomes more evident. Wood heating is best viewed as a lifestyle choice as much as a fuel choice. This is borne out by the words of people who heat with wood. Wood heating is also compatible with a personal commitment to social and environmental responsibility since accountability for the associated impacts is accepted by the user. Historically, in households that heat with wood the outdoors was the male domain where trees were felled and firewood processed, and inside the house was the female domain where fires were maintained and meals were cooked. This pattern still holds to some extent, but there is much overlap. Milne notes that “Participants talked in terms of wood energy being the one thing in their community that bridges class, gender, race, and philosophical divisions.” Here are the words of some of her informants.